Cold season is well underway and many of our clients have talked about having a cold and being sick. Here are a few things at Rebalance Massage Clinic that we’d like to recommend to help boost immunity. Wash your hands frequently. We touch things constantly that are shared by others and then we touch our eyes, nose or mouth which helps to increase our chance of getting sick. If we wash our hands more frequently, it will help to decrease our chance of getting a cold as well as those around us. Take zinc at the first signs of feeling like a cold is coming. Zinc has been known to help shorten the duration of a cold and can help boost the immune system. Sometimes if taken when you feel like a cold is coming, you might be able to beat the cold. Get proper rest. The body does its’ best healing process while we are sleeping. Increasing sleep time even by an hour can have a healthy impact. Increase Vitamin C intake. Vitamin C in a multivitamin is generally not enough to keep prevent colds. Adding a boost of vitamin C to your day may help to keep your immunity higher functioning. Hopefully, you’ll stay healthy this winter season! 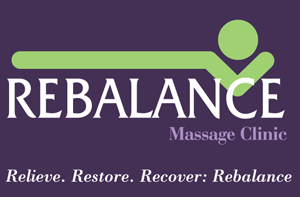 If you’d like to schedule a massage, please feel free to call us at (732) 422-6364 or schedule online.